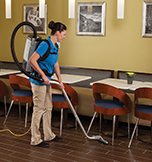 Janitorial Supplies & Equipment | Floor Machines | Burnishers | Carpet Cleaning Supplies. -175 RPM / 1.5 HP | Powerful! -Works well for ~15,000 Sq.Ft. JL Premium 20" Highspeed Burnisher can achieve a faster shine than other burnishers on the market, Try one and you will see the difference right away, or your money back!